Established in 2007 by the Greater Easley Chamber of Commerce, the Powdersville Business Council (PBC) promotes the well-being of the business, professional and industrial community of the Powdersville area. Members of the PBC are also members of the Greater Easley Chamber, and together we all work for the betterment of the Easley-Powdersville business market. To help plan and manage the activities and initiatives in the Powdersville area, the PBC maintains its own elected Advisory Board. And to ensure the direct connection to the Chamber's overall strategic plan, the Chamber Board of Directors includes representation from the PBC as well. 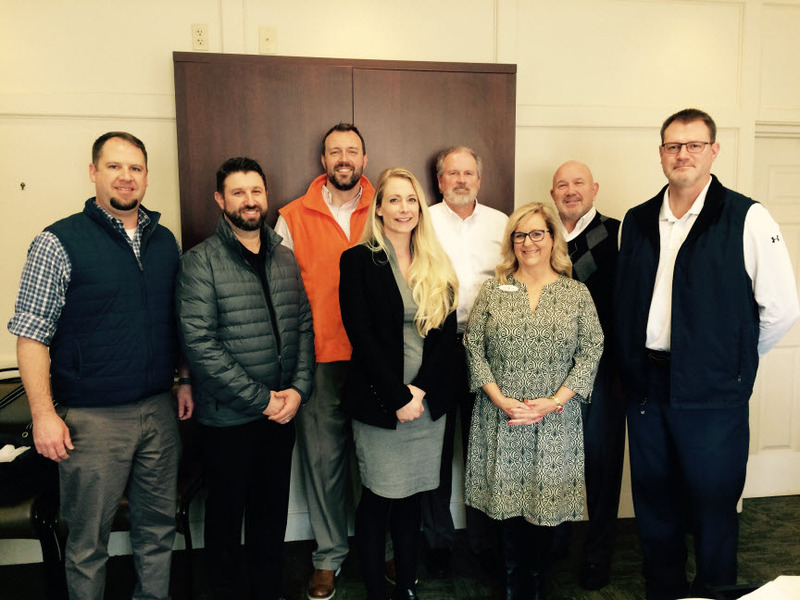 For businesses in the Powdersville area, the PBC is designed to expand the programs and stategic misssion of the Greater Easley Chamber to the Powdersville area, but more importantly, the PBC ensures local business interests and concerns are represented. In addition to hosting events and programs in the Easley area, the Easley Chamber and PBC also host business lunches every other month at the Powdersville Library and an Annual Fall Golf Tournament. Pictured (L-R); Sid Collins, John Hatzidakis, Johnny Harvin, Kayla Place, Gordon Brush, Cindy Fox Miller, Craig Williams, Kevin Kozak. Not pictured: Dusty Miller-Franks. Chair-Elect: Kevin Kozak, Kudzu Staffing, Inc.
Kayla Place, Shred A Way, Inc.